Pesto Trapanese (Sicilian Almond Pesto) | Simple. Tasty. Good. What I like about this simple pesto trapanese is the fact that it needs little to no cooking at all, except for boiling the spaghetti. The ingredients are just blended together into a deliciously rich and hearty pesto and directly poured on top of the hot pasta. 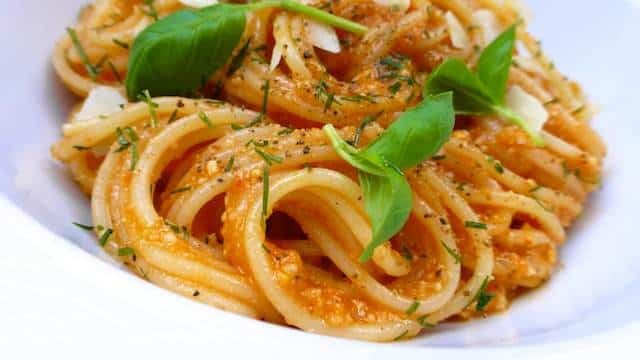 There’s a quick pasta recipe , excellent meals for busy days when you have little time but a craving for a healthy and light bite. Trapanese pesto comes originally from a Silician village near the coast called Trapani. The almonds give the pesto its characteristic creamy texture. Great idea from Luc: chop up some of the almonds roughly and add this to the pesto before serving to give the pasta dish extra crunch. This is a magnificent vegetarian pasta recipe that only takes you about 10 minutes to prepare! Love making pesto at home? Then also check out my classic basil pesto! 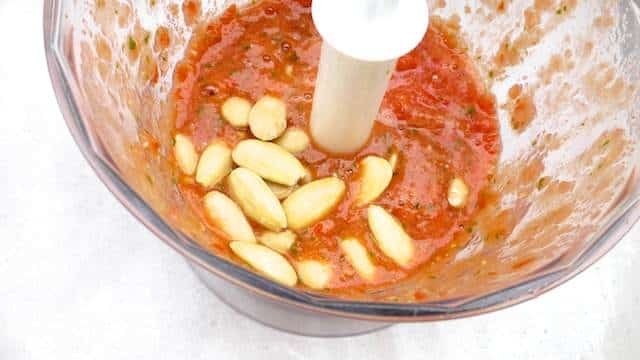 Pesto Trapanese: a creamy Sicilian recipe for pesto with tomatoes and almonds. Fill a large and high pan with cold tap water and season it with a good dash of salt. Place then pan ove rhigh heat and bring it to a boil. Once the water is boiling, add the spaghetti and cook it until tender. 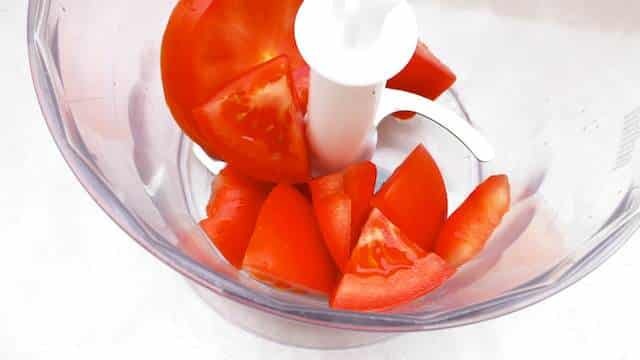 Wash the tomato and drain. Cut out its green heart and roughly chop the tomato into smaller pieces. Add them to a clean blender. Pulse a few time into a puree. 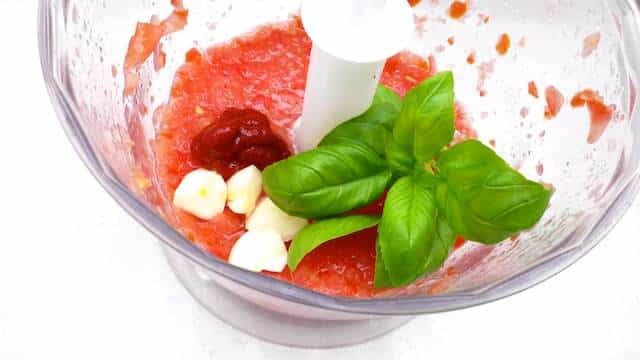 Then add the tomato paste, the handful of fresh basil and the peeled and chopped garlic cloves. Season with a little pepper and salt. Pulse again. 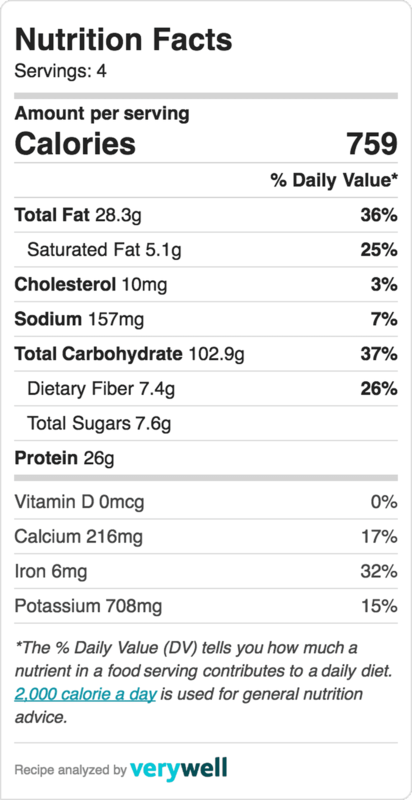 Then add the peeled almonds. Blend well. Add the grated parmesan cheese and a couple of drops of olive oil. Pulse again. 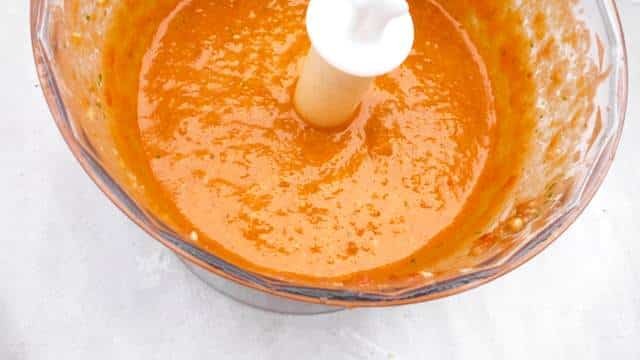 Now you should end up with a fairly runny and glossy red pesto sauce. If it is too dry, add extra olive oil or a tiny drop of warm water. Then check the seasoning and add extra pepper or salt to taste if necessary. 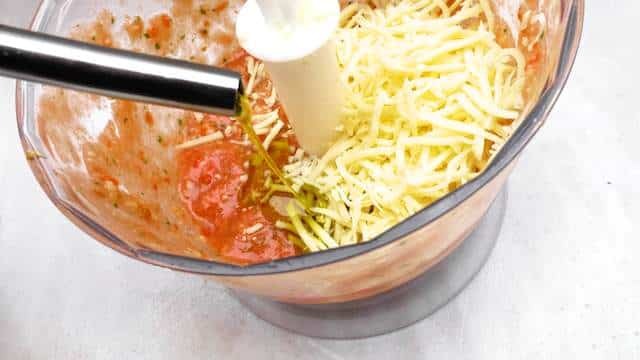 Once the spaghetti is tender, drain it and add the trapanese pesto. 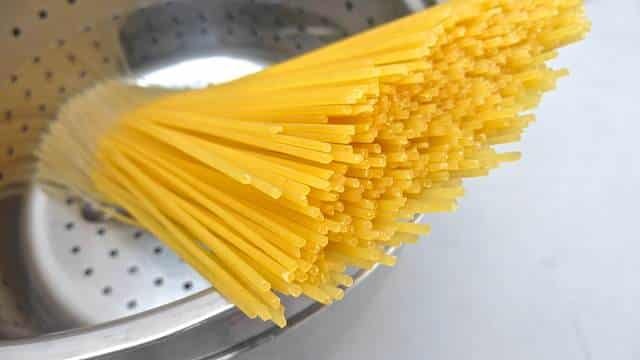 Stir gently until the spaghetti is evenly coated. Transfer the pasta onto deep plates. Sprinkle with extra grated parmesan cheese and fresh basil if you like and serve immediately.